In his latest novel, Eliot Peper has crafted an exciting near-future story with a clever plot. Dag Calhoun is a political lobbyist in a world where nearly everyone has a digital 'feed'. They use this feed to interact with the world and keep informed about current events. The central idea of the story is that a person's worldview can be changed by subtly tweaking the information they consume. Dag figures out that a group of activists have hijacked the feeds of world leaders to accomplish their (mostly laudable) goals, and he has to make some difficult decisions as a result. The prose often starts to take on a purplish tinge. The story could have retained it's content and been condensed, but I'm sure some will enjoy the vivid descriptions that Eliot has crafted. Also, none of the characters are particularly likable, but that seems to be a typical hazard in near-future corporate-thriller-style novels. The idea that a person's decision-making can be changed at a macro-level by subtly altering the news they read every day is a rich, tasty thought-feast. It's also very timely, considering the fact that more and more people are obtaining the majority of their daily information from social media platforms. The book doesn't cover all the possible angles on this idea, but does hit enough to be very interesting. The story itself moves along at a decent clip despite some of the flowery language, and the plot is has some nice twists and turns, which is how I like it. Overall this novel is firmly in 'recommend' territory. 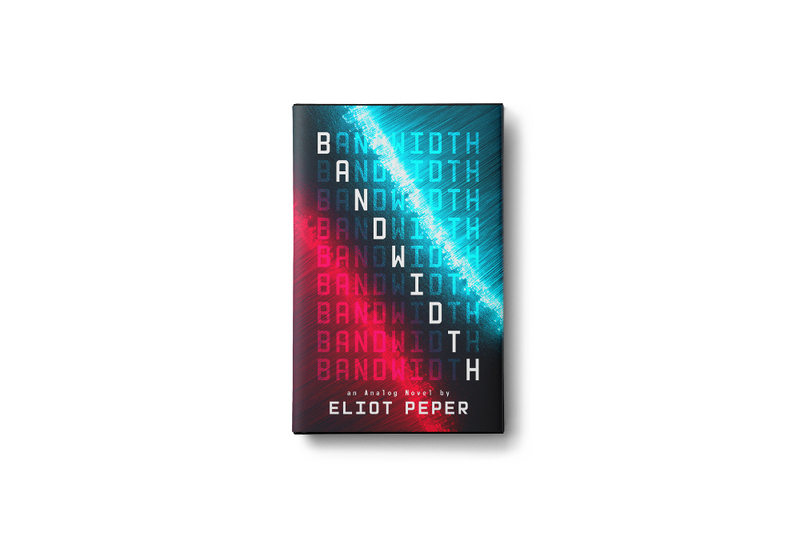 You can find it here: Bandwidth (An Analog Novel Book 1) (As an Amazon Associate Compelling Science Fiction can earn a small amount from qualifying purchases). As always, I did not receive any incentives (financial or otherwise) to review this book.